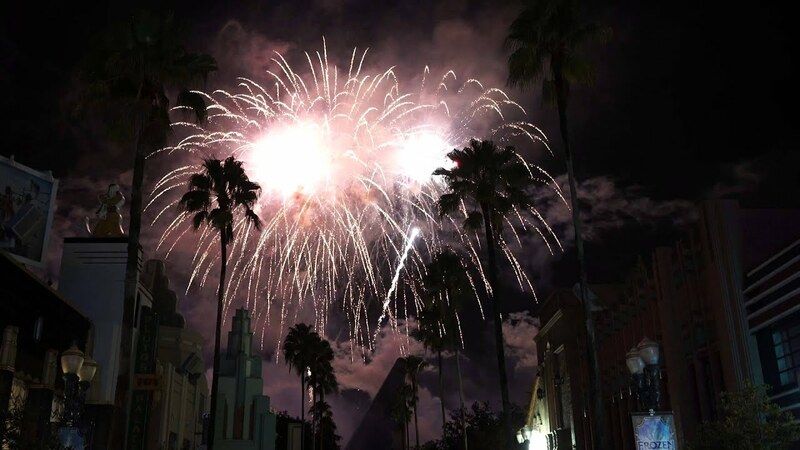 Aug 25, 2014 in "Villains Unleashed"
Saturday night saw the very first Villains Unleashed hard ticketed after-hours event at Disney’s Hollywood Studios with over 50 fan favorite villains taking over the park. 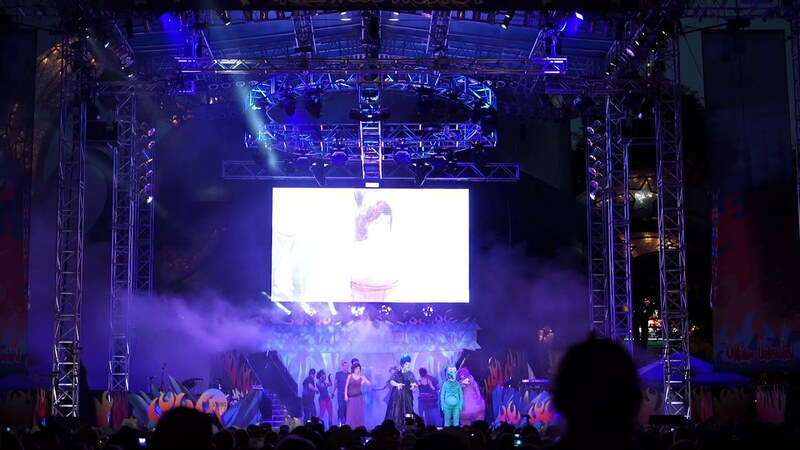 The 5 hour event began with a near 12,000 guests entering the park for the on-stage welcome by Hades and Meg. The 20 minute show introduced all 50 villains, with many of them making an onstage appearance. Over at The Theater of the Stars, normally the home of Beauty and the Beast, things took on a very different tone. 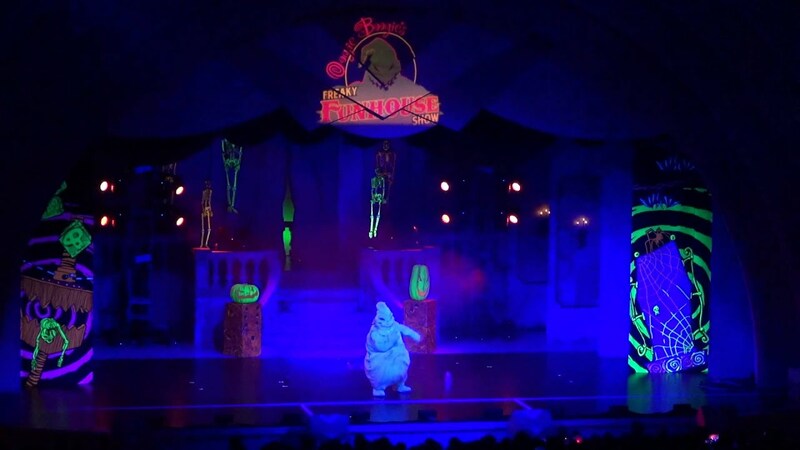 For one night only, the theater became home to Oogie Boogie’s Freaky Fun House. Sword Swallowing, fire eating, and cross-bow stunts were all part of the 30 minutes show - hosted by Oogie Boogie himself. The Hollywood Brown Derby became Club Evil for the night, breaking away from the usual table service restaurant to become a self-seating lounge for the night. The Queen of Hearts visited diners, along with musical interludes by songstress Tortella. Fans of Guardians of the Galaxy got to meet Star-Lord and Gamora at the Guardians of the Galaxy Awesome Mix Tape dance Party, taking place in the Disney Jr stage in the Animation Courtyard. Villain character meet and greets took place throughout the park, with sets along Sunset Blvd, Star Tours area, and the Streets of America. Some of the most popular locations saw lines closing early in the night, with 3 hour waits not uncommon. Hades Hangout on the Sorcerer Hat stage was rocking with the house band Brimstone, alternating sets with DJ Igg Nite. The night came to a close with Maleficent hosting Villainy in the Sky fireworks spectacular at 12:45am. We’ve got lots more photos from Villains Unleashed in the gallery - so be sure to check it out. So what did we think of the event? Here is a quick rundown. The excellent Villainy in the Sky fireworks show served as a fitting finale to the event. Walt Disney World entertainment cast members put on great performances as always. Chance to meet some rare characters - albeit with some very long lines. Oogie Boogie's Freaky Fun House was a change of pace from normal Disney entertainment and offered something with a little edge. Parking process was smooth, with none of the traffic issues of previous Studios events. Long lines for characters meant hours of the 5 hour event were spent in line. Guide maps were unavailable for guests arriving at around 7pm, causing confusion at the turnstiles. The Fantastmic! pre-show was not worth the time and perhaps should not have been highlighted as part of the event. Club Evil at the Brown Derby was near-impossible to get a seat due to open seating and guests camping out at tables all night. Merchandise ran out very early at the event. A lot of guests walking around with alcohol who had clearly had a little too much, created an un-Disney atmosphere at times. The park felt very crowded and oversold for a special event. More shows were required to give more guests a chance to see something outside of the character meet and greets that had extremely long lines. Did you attend Villains Unleashed? Leave your thoughts on the forum.